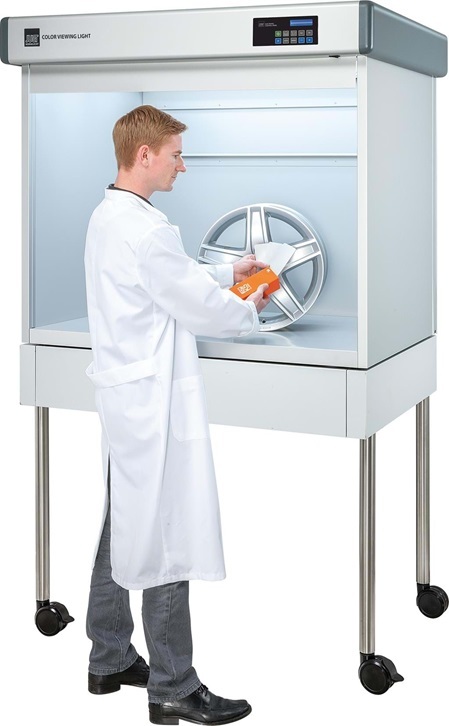 Depending on the size of the test object, one of the new colour matching booths of different sizes will offer sufficient space for reliable colour testing. The dimensions of the different viewing booth sizes do not increase proportionally, but vary greatly in terms of width, height and depth, meaning that they can cater to almost every demand regarding the size of the object to be matched. The devices are available with 3 to 5 illuminants (D65, D50, TL84, A, UV-A) in BASIC, ADVANCED and PROFESSIONAL versions. 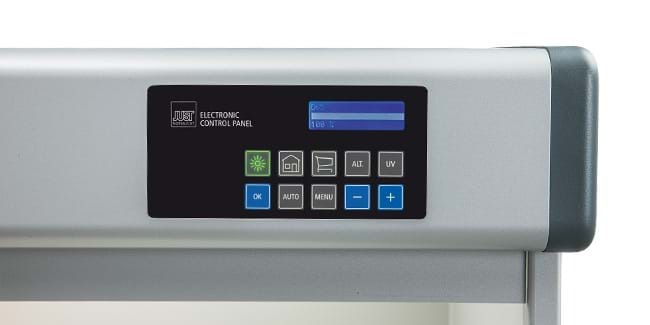 While the BASIC version is the entry-level class with mechanical light switching, the ADVANCED and PROFESSIONAL versions offer a convenient Electronic Control Panel (ECP) that provides numerous useful functions. For instance, the illuminated keypad in green, yellow and red draws attention to an upcoming lamp change. Moreover, the PROFESSIONAL version allows continuously variable dimming of the five illuminants. 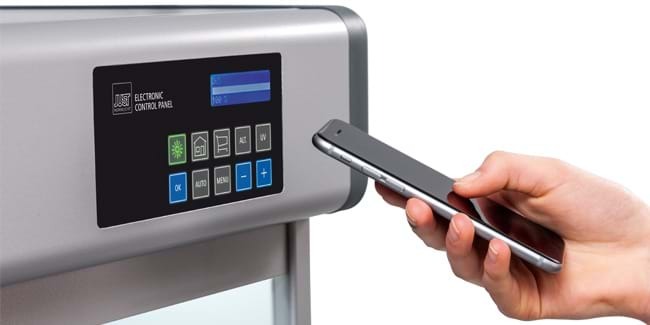 The Color Viewing Light can be connected to the in-house network via a LAN connection, and operated remotely via a web-based Remote App. These new functions not only make for more convenient operation, but also meet the demands of the standards for industrial visual colour matching. These standards include ASTM D1729, DIN 6173-2 and ISO 3668, which define all the parameters for reproducible colour matching. Additionally available is an extensive range of accessories, such as storage cabinets and inclined viewing surfaces for an optimum viewing angle. Maintenance-friendly viewing booths for advanced colour matching tasks with useful features. Available with five differen illuminants and in five dimensions. Viewing booths with highly convenient operation and numerous functions for professional colour matching. Available with five different illuminants and in five dimensions.